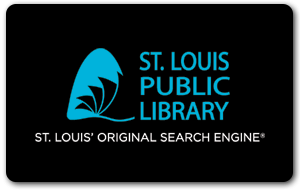 St. Louis Public Library is an equal opportunity employer and does not discriminate against otherwise qualified applicants on the basis of race, color, gender, national origin, age, religion, creed, marital status, disability, veteran status, sexual orientation or gender identity. To apply for a job with SLPL, complete the full application below. Applicants interested in a shelver position must take the Shelver Test given every Wednesday at 4 p.m. at 1415 Olive Street in order to be considered for a shelver position. List your work experience below beginning with your most recent job. Please complete even if you have included a resume. I certify that answers given herein are true and complete to the best of my knowledge. By typing my name below, I authorize investigation of all statements contained in this application for employment as may be necessary in arriving at an employment decision. I understand that this application is not, and is not intended to be, a contract of employment. In the event of employment, I understand that false or misleading information given in my application or interview(s) may result in discharge. I also understand that I am required to abide by all rules and regulations of the Library.